a night on the town « AFTER THE POP ! my friend tommie called today and offered a ticket (box seat) to see sam smith with george ezra at the 1st bank center in broomfield on monday 1/26/15. i can’t remember feeling so blessed. thank you tomm. and wow. i think i really need this. and george ezra too! re-wow! When he was 18 years old, Sam Smith wrote his first truthful song, a flashbulb moment for the brilliant blue-eyed soul singer. Three years later and the song has long since been discarded as a naive folly. Like all singer songwriters that are rich in emotion, knee-deep in their own small personal complications and dependent on their precociously youthful talent to engage with the world, Sam resolved never to write a song again that didn’t connect straight from the heart. The first set of results, delivered with breathtaking vocal depth and range, will be put to the litmus test of public opinion when his debut album drops in 2014. His musical purity is starting to ring the right bells. Adele has tweeted her support. After one single show in New York he has become something of a cause celebre for global soulman, Maxwell. ‘He’s a great friend to have.’ He recently finished sessions in Old Street with Nile Rodgers for an as yet unconfirmed Disclosure work. He ties to Jessie Ware, Naughty Boy and that whole scene of London underground talent that is taking their new soul to the mainstream. 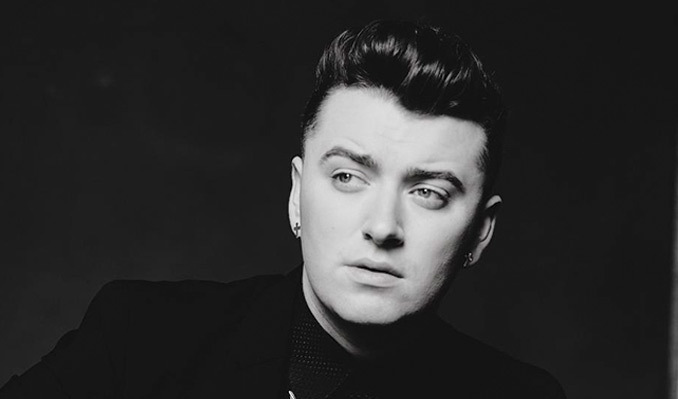 Sam Smith might yet be at the vanguard of a wave of British talent schooled through the verbal brilliance of Jill Scott, India Arie and Angie Stone in the States a decade ago. Audaciously, he is covering Anita Baker’s Sweet Love on tour at the moment and making it sound as if it were penned for him. This entry was posted in 2nd stage recovery, 2nd stage sobriety, Buddhism, emotional sobriety, life on life's terms, music, recovery and tagged 1st bank center, george ezra, gift, music, sam smith.